Safety should be a priority in any kitchen, and every kitchen has knives. 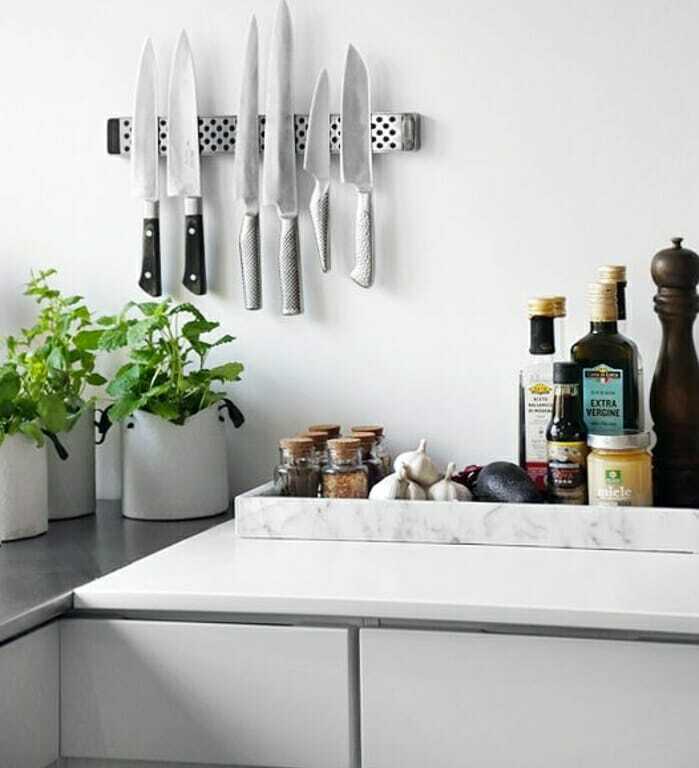 Tossing a bunch of sharp objects into a drawer together may work for some people, but there are plenty of efficient and creative ways to store your knives in places where you won’t accidentally stab yourself while reaching for one. Here’s some inspiration. This could be a really great DIY if you’re handy with a drill. Simply attach magnetic plates at a convenient place in the kitchen, which will likely be over your backsplash. This has the added bonus of showing off your collection. It’s clean, it’s simple, and it’s right where you need it. This could be the ultimate way to utilize that space below the sink. 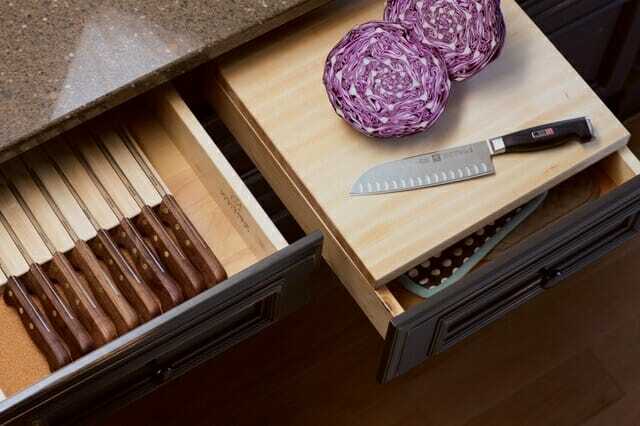 Install a pull-out cutting board right next to an organized knife drawer. It can make cleaning up super easy to deal with if you move a trash bin under the board to catch falling bits. Do you have trouble distinguishing one handle from another? Or maybe your knives just all look and feel the same. 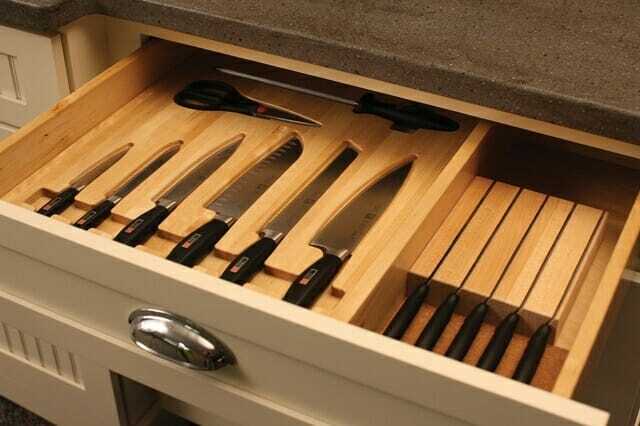 Try an organizer that lays them flat so you can grab that serrated knife with the quickness of a young Bobby Flay. Finding your knives can be as simple as pulling out a drawer. 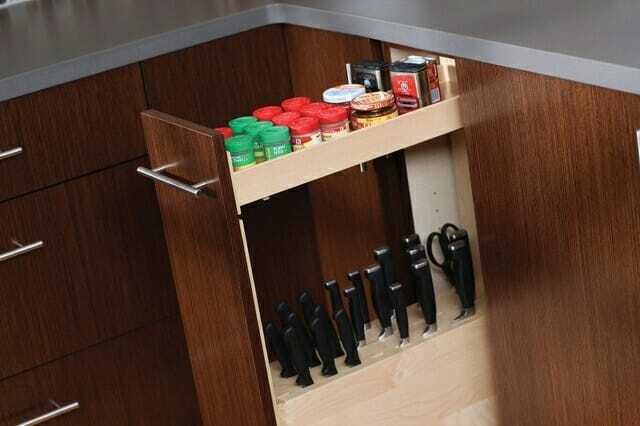 This space-saving setup puts the knives at the bottom so that the space above can be utilized to store something else. Be sure to leave ample room to remove the knives from the rack. 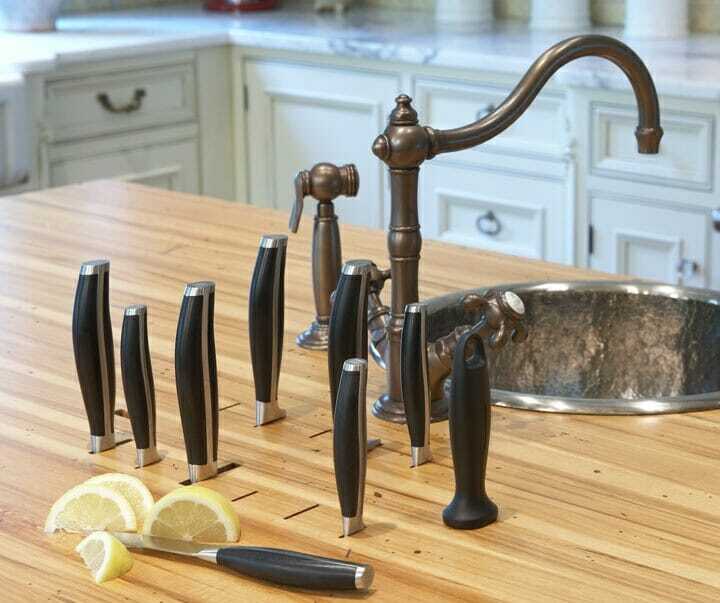 This is a quick and easy DIY for a fun way to display your knives. 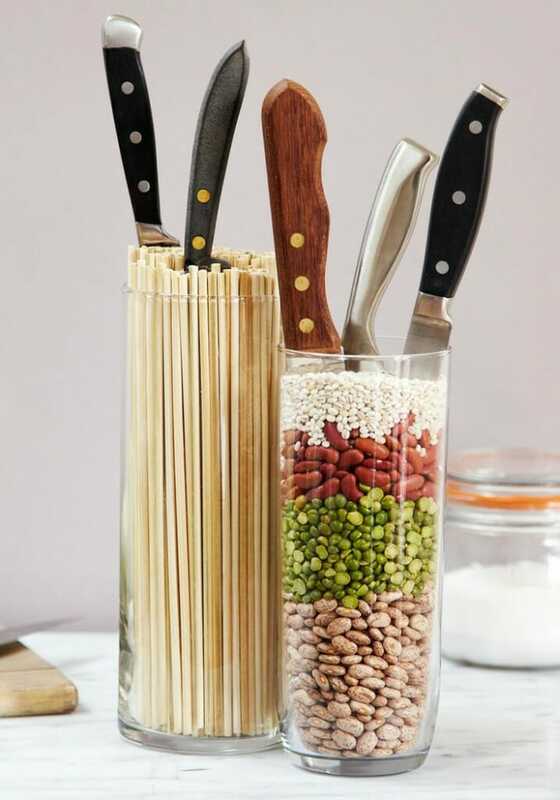 Use a bottom-heavy jar or vase that won’t tip over and fill it with wooden skewers or dried beans. How do you display your knives? Let us know on Facebook.